As with the first three books I reviewed, I found these resources to be right on target for those who are caregivers, parents, or teachers of children with autism spectrum disorders (ASD). In Ellen Notbohm’s 1001 Great Ideas it only took reading the Forward and Preface to know I had the right book. In fact, it was even just these brief introductory sections of the book that sold me. 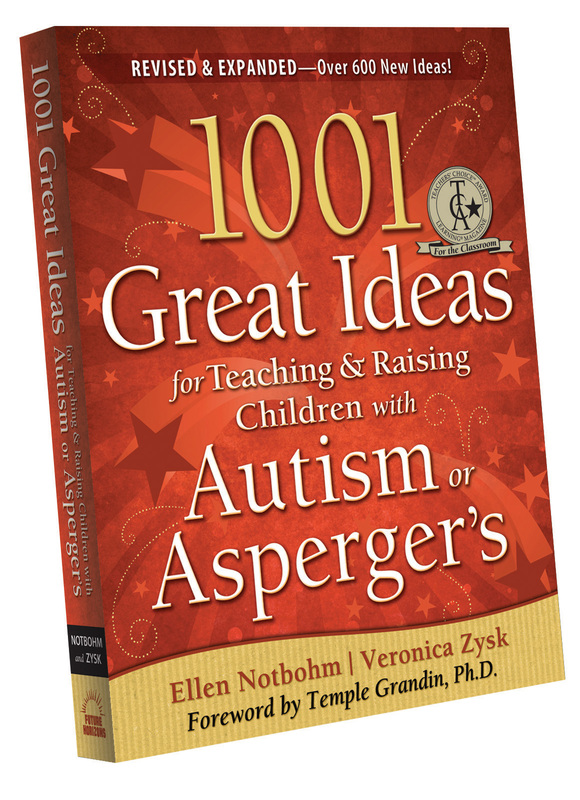 As my son, and hence our family as a whole, deals with Sensory Processing Disorder (SPD) my greatest interest in 1001 Great Ideas was held in the first chapter, “Sensory Integration”. As is a common theme with most ASD resource books, the authors thoroughly address the broadest spectrum of everyday life experiences with a definitive collection of practical and realistic tools. In Faherty’s Understanding Death and Illness I found a book concept I had never considered. 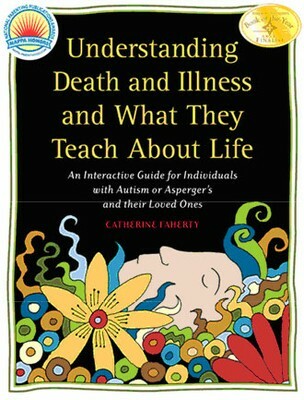 To address the subjects of death and illness specifically for individuals with autism or Asperger’s is quite a niche, but one filled with great understanding and sensitivity. Anyone living with or caring for an individual with ASD understands just how significant these subjects are and the unique challenges. Interactive is the operative word when considering this book. It is designed as a workbook and with close guidance coupled with flexibility it is intended to help the learner grasp the meaning and significance of illness and death, and develop basic skills in living with these events of life. Lynda Farrington Wilson’s Squirmy Wormy is quite a departure from the other books I have reviewed. As opposed to the adult-orientated “toolbox” book, this is written for children. It is whimsical, light-hearted and fun. At the same time, it is clear and direct, presenting plain and open language that an ASD child will recognize. It is illustrated in bright watercolors and in a fashion reminiscent of a child’s artwork, enhancing its appeal. I believe this book will be received well by most any child. Wilson’s one-liner lessons – which stand out in bright chartreuse – summarize the story-statement preceding it, solidifying a simple truth the child can apply action to. Finally, there is something additional in this book for parents, caretakers and teachers: quite a bit of detailed information provided at the end of the book to help with learning more about sensory processing disorder, to include website addresses, organizations, and several other books. This includes Sensitive Sam, by Marla Roth-Fisch, and The Out-of-sync Child, by Carol Kranowitz, both books this reviewer owns. All these books can be found at either the Future Horizons website, www.fhautism.com, or at Amazon.com. – – – Michael Conner is the father of a very special and wonderful boy with Sensory Processing Disorder. He is an author, yet to be published, of several children’s book and one adult novel, and creator/author/editor of Ask a Hooiser.com, a blog covering various aspects of life and society from a distinctly Indianian perspective. He holds a Masters Degree in Public Administration from the University of Colorado at Denver and a degree in Social Work from Indiana State University. The views in this editorial review and commentary are strictly those of the reviewer and cannot be attributed to anyone else in any way. Mr. Conner is solely responsible for the full and complete content of this review. If you have any questions or comments on or otherwise response to this review, you are invited to comment here or to write to michaelconner@att.net.